From the rising of the sun until the going down of the same, the Lord’s name shall be praised. When I wake each morning, I give God thanks for waking me; for one more opportunity to worship him, for one more opportunity to get it right. Every day that the Lord makes is good. We know that through God all things are possible; not by might nor by power but through the spirit of God. So, I want to encourage You today to put your hope, trust and reliance in God knowing that He is able. Be strong and courageous in the Lord, do all that He commands, don’t waver, meditate on His word unceasingly and then will you make your way prosperous and you will have good success. God makes it known again that it is His spirit that accomplishes His will; not by our might or our power. Dear heavenly Father we come to You this morning with an attitude of gratefulness knowing that You are the one true living God, the only wise God who provides shelter, love and protection to Your children. We are honored and appreciative to come before Your holy throne to give You praise for all of Your many benefits unto us. Lord we thank You because we know that when we come to You in prayer and supplication that You will intervene on our behalf. Help us Lord to trust and obey You, to acknowledge You in all of our ways, to look to You for direction. Lord we love You for who You are. You are an awesome God. We thank You for Your grace and mercy, for Your loving kindness, for Your unmerited favor on our lives. Lord we thank You because You are faithful to forgive when we come to You in true repentance and a sincere heart. We pray to You this day, Lord that You look upon us and meet the need of all those that need a touch from You today, who need to feel Your love, who are looking for a miracle that only You can provide. Make crooked paths straight. Lord we pray, in the name of Jesus that You bind everything that is not like You. Lord, we pray that You meet financial needs; that You release jobs for those seeking employment, Lord that You heal those sick in body, mind and spirit. Lord You said that by Your stripes we are healed. We thank You Lord because You tell us in Your word that Your grace is sufficient to keep us. Help those Lord that are struggling to maintain their relationship with You. Show up and show out Lord. We pray for a mighty move from You. Lord You said in Your word that we would do greater works, that power would follow after we receive the Holy Spirit; You said that signs would follow those who believe. Lord get us to a place where signs and wonders follow after us; a demonstration of Your Holy Spirit alive and working in and through us. 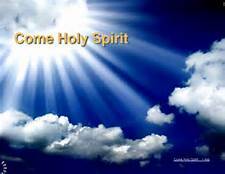 We thank You dear Lord for Your precious gift of the Holy Spirit; the comforter that You promised would be sent to us. We thank You Lord for the communion You allow us to have with You. We thank You Lord for the strength You provide, for Your comfort, Lord for sticking with us for being closer than a brother, for being our rock, our strong tower. Lord we thank You for the foundation that You laid upon which we can build on and grow our relationship with You. Lord we thank You because You've given us every thing we need for good success in You. Lord we praise and magnify Your name. We lift You up as the center of our joy; the strength of our joy, our everything. We thank You for the name of Jesus, the precious name of Jesus that we can call on in our time of sorrow and in our time of need. Lord we recognize and acknowledge that we are nothing without You, that we can not be anything with out You, but with You Lord, we are everything. With all of our hearts, Lord we praise and magnify Your holy name name. Lord we extol You. God’s blessings to You this day.